As I stated in my opening thread, I have a new GCNM that I have not shot yet. I just field stripped it, cleaned and lubed it and reassembled (with no idiot scratch I must add ). While disassembled I took my calipers to the barrel and found the O.D. to be .581", and the I.D. of the bushing is .580", is this good? Does it even sound correct? Would it still be beneficial to have a NM bushing fitted and installed? You've discovered the limitation of calipers. A .581 barrel obviously doesn't fit in a .580 bushing. Close measurements like these require a good outside micrometer, a telescoping gage, and a careful "feel". I don't know the GCNM personally, but production guns can virtually always benefit from a hand fitted bushing. It's not just the fit of barrel to bushing but also the fit of bushing in slide. I would just go out and shoot it as is for now before worrying about upgrading at this point. You may want trigger work performed. May want to try and experiment with different reloads. As far as using an inside/outside caliper. O.D. is not so bad, but measuring I.D. accurately will require an inside ball mic or set of pin/plug gauges or other designed for it. Good luck and have fun breaking in the pistol. Location : Surrounded by pines in Wi. Yeah, I'm going to the range this weekend, and run some Blazer Brass 230gn FMJ for a functionality test. I also will shoot it in the last two matches of this season's bullseye competition. As a reloader, indeed I will be working up a nice soft 185gn bullseye load for it. You need more than a micrometer.. As was stated, a micrometer is a poor tool to measure small holes. A plug gauge is best followed by a dial bore gauge. These latter two get pricey. Warhorse wrote: Yeah, I'm going to the range this weekend, and run some Blazer Brass 230gn FMJ for a functionality test. I also will shoot it in the last two matches of this season's bullseye competition. Not really a good idea to run hardball ammo in that pistol unless you know what the recoil spring weight is. My first GC came all set up for wad and had a 12lb spring. It would be better if you had a 16 in there to be safe. In the box from Colt was a spring painted green on the end. I just assumed this was for light target loads. Mine came with 2 springs also. One was a lot shorter then the other. We didn't have all the choices for springs when I bought mine in 71. As long as you have the heavier one in the pistol your good to go. I am not the type to assume anything however. 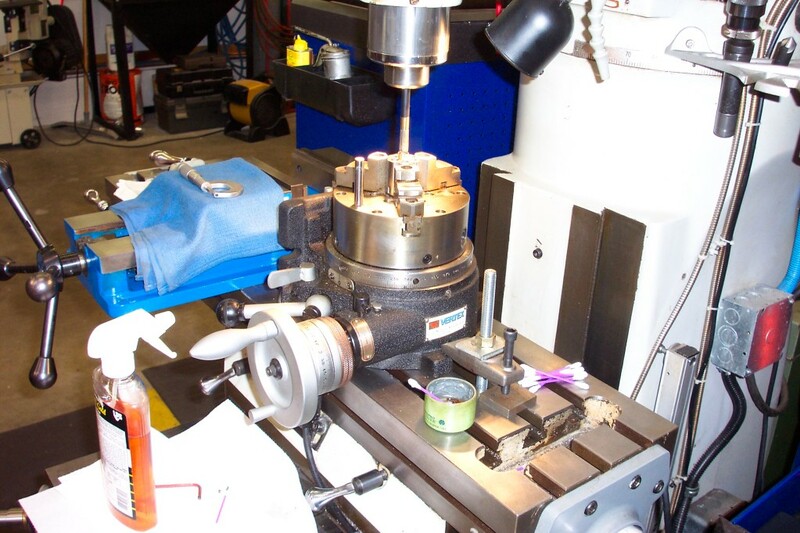 Here the bushing is being angle bored to its lock up position in the gun.. The boring tool is very accurate..Lapping is the preferred method for a micro dimensional finish.. As the bottom picture shows the cylinder throats are being lapped..unable to find a picture of lapping the bushing... 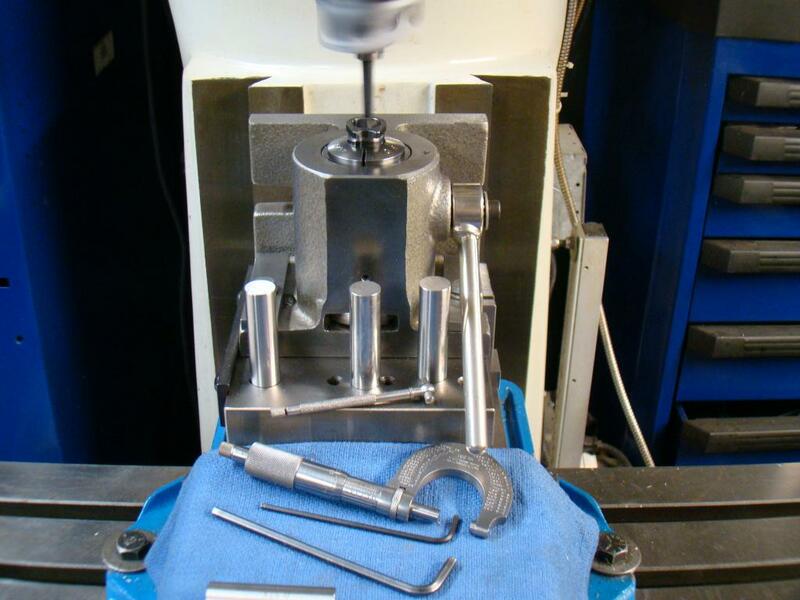 It's here..somewhere.. A reamer should never be used in the throats..precision pin gauges give very accurate reference. Decent dimensional fine work can also be done with a hone. A reason reamers should not be used on revolver throats is that they make a round(ish) hole but often their size and alignment to the chamber and barrel can't be as easily controlled. If you want a round hole that is aligned you need to lap or hone it.